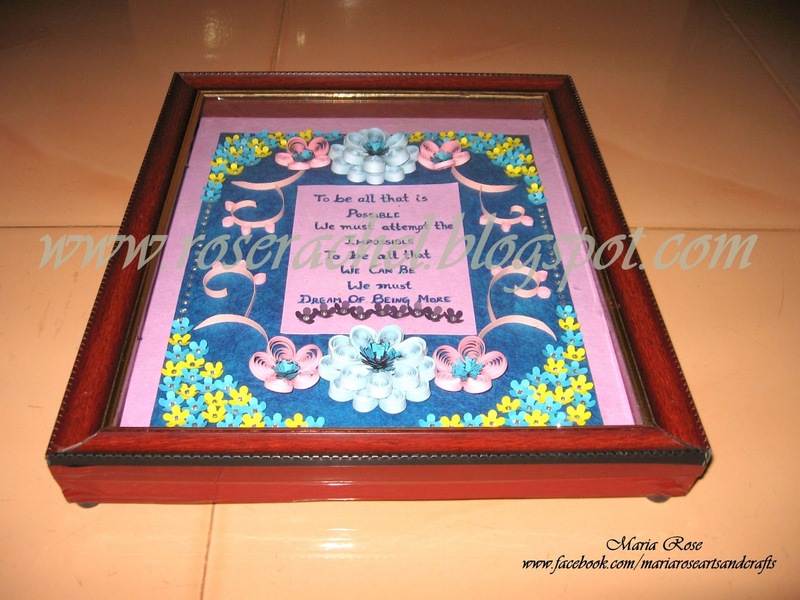 This frame work is a gift to my friend who is leaving our company for better opportunities so thought I could do it which would give some positive thoughts.. 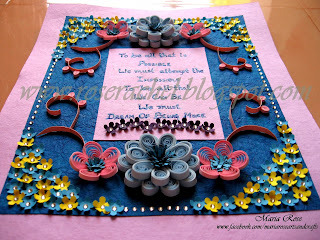 Since I dint have much time I planned to do few quilled flowers but at the same time it should be attractive... 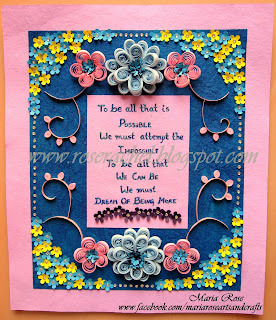 I gathered this quote from Rajni Chawla's quilled works.. For the letters I first wrote it using blue refill pen and upon that lined with light blue 3D glitter to give the sparkling effect. Super neat flowers.she will surely like it.great work Rose !! 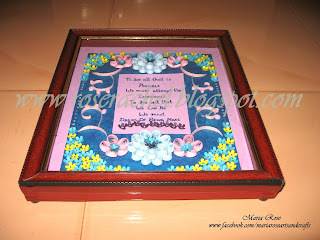 This is such a beautiful Frame Rose and the punched flowers give it an added dimension!! WOW!!!!! Lovely and Gorgeous !!!! 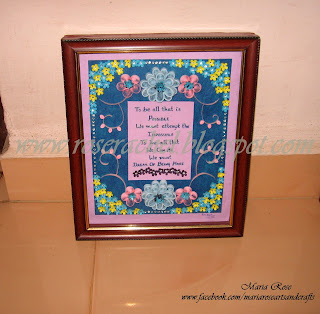 the yellow and blue flowers are really fantastic on the frame . Thanks for joining in on the fun at Challenges 4 Everybody. Good Luck!! 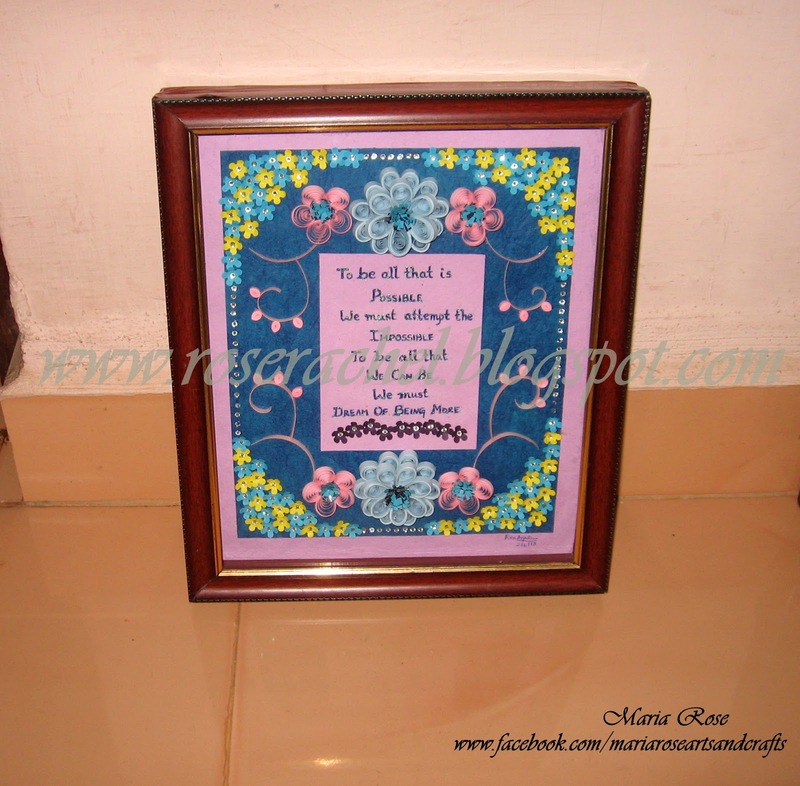 Very beautiful frame, Rose! 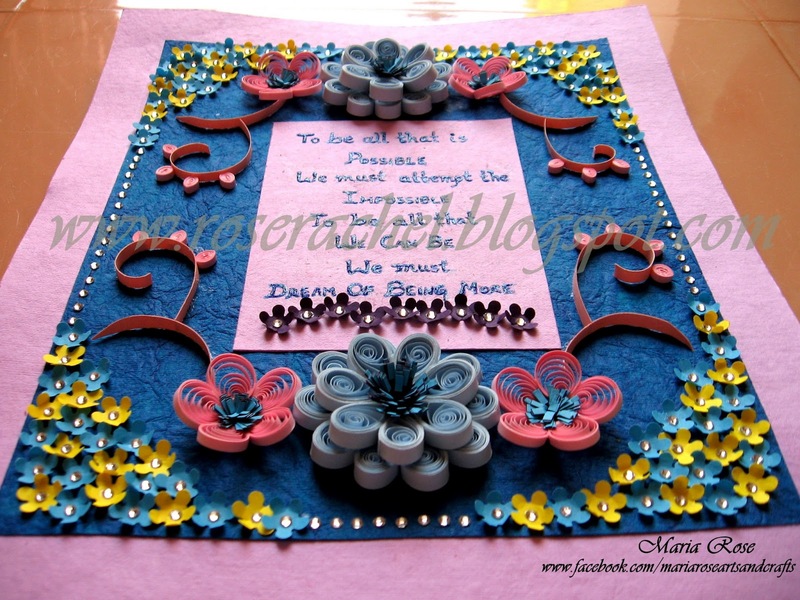 The handmade paper looks amazing in paper quilling projects and the blue and yellow punched flowers added a lot of dimension. I'm sure your friend will treasure this thoughtful gift! 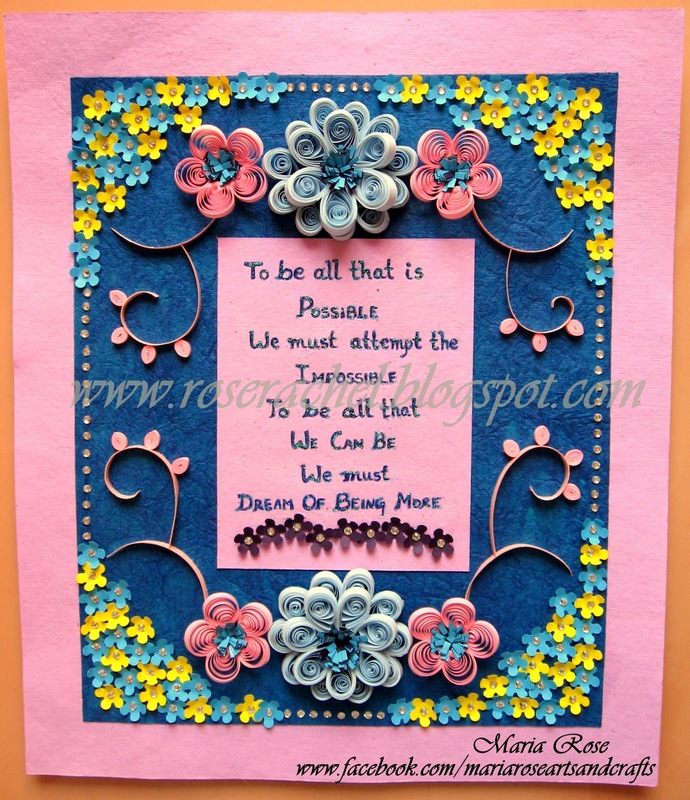 The little punched flowers give this card such a perfect setting and it is pure genius. But I would have preferred a light blue border myself since I'm not a pink person. Perfect symmetry !! I too think the addition of yellow has brightened your work more. It is just amazing, the placements and the symmetry. Cheers to many more such creative DIY.